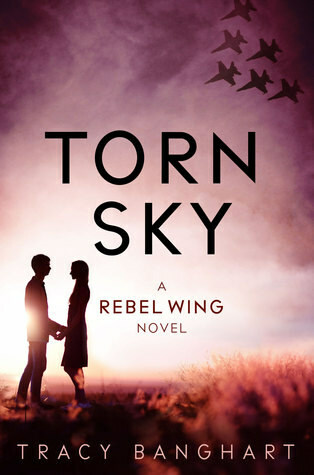 Torn Sky is the last book in the Rebel Wing series and I was so excited and curious to see how the author would wrap this series up. It’s a great ending to the series, the ending was pretty much perfect. Although a lot of bad stuff happens before they get there. Torn Sky is a bit darker than the previous books in my opinion, it’s more extreme. More sneak attacks, more fighting, more deaths and losses. It’s gritty and real and hard to read at times, but also very realistic. The author had no problem killing off a lot of characters, but I felt like by doing this she was able to show the true horrors of war. Lots of people die for the hope of peace and saving their country. I felt like the first half of the book was a bit slow in comparison, setting things up for the rest of the book. Once I hit the second half though I couldn’t stop reading. I just sat there and finished the book as I had to know how it would end. The story mostly focusses on the war, the plot of a spy in the Atalan army, spies they plant in Safara and the bomb. I thought I had figured out who the spy was, but then Tracy Banghart managed to complete me surprise me when I did found out who the spy was. It was handled very well and was very well written as looking back there were hints, but I hadn’t picked them up. The whole book is very well written actually. And the ending finally made me happy, although it’s bittersweet as well. They really have to fight for everything and things are hard. So many lives lost and sacrificed and this book had me close to tears a few times. There are also a few torture scenes which were hard to read, but luckily the scenes weren’t too long. And there’s this scene at the end, that was so good and hopefully, gah perfect! The author also takes her time wrapping things up and showing what the characters will be doing next. Even though it’s the last book there is still a lot of focus on the characters and how they change from what they go and went through. The effect of the war are seen in how they acts and it’s hard to see them fighting and losing so much and still going on. Some characters really have a hard time dealign with everything and I feel so sorry for them for what they have to go through, at times I just wanted them to be happy and all we see is them going through more difficult times. I did like seeing their determination, their belief in that they were fighting for the right thing and doing the right thing. There are also some characters who really surprised me in this book. Characters who change in unexpecting ways or things we learn about them which I didn’t expect. And there are so many characters that I grew fond of only to see them die. There are characters who make the ultimate sacrifice for their dominion and while it often fit and showed the strength of these characters and their determination to fight till the bitter end of die trying, it was also hard to see so many lives lost. Just like the previous book there is still the multiple point of views, which I really liked and it worked well for this series. There were times I wanted to shake some sense into Dysis though as she’s so reluctant to accept help in any way even when she needs it. There are also some sub plots about romance, which I really liked. It offers some relief form the bad stuff and offers a glimpse of hope. I really liked Milek and Aris their relationship and seeing their love for each other and how they handled it on the base and found ways to be close while still being professional, I thought they handled it well. There are also some other characters who find love, but it’s all woven very well into the story and I liked it. To conclude: This was a great ending to the series. This book feels a bit darker than the previous books in my opinion. IThere is a lot of hardship, bad stuff happening, deaths and losses that happen in this book. It could be hard to read at times and this book had me close to tears a few times, but I did feel like Tracy did a great job to capture that feel of war, the helplessness and how anyone can die every day, it was pretty realistic in my opinion. The first half was a bi slow, but once I reached the second half I could not put the book down, literally and read the second half in one sitting. The characters also play an important part in this book, it’s hard seeing them go through this all, but I also admired them for how they kept going. There are quite some surprises and changes when it comes to the characters and it was well done. It was a well written book and a great ending to the series! Tell me about the last well written book that was hard to read and why it was hard to read? Amir @ Not So Literary recently posted…Let’s Catch Up #1: Welcome to NSL Cristina! I missed visiting your blog as well, you always have such great posts about your travels, glad to hear you’re back! I agree a slow beginning is better than a slow end, especially when it comes to the last book in a series. The darker feel fit the book, although it was hard to read at times. Series finales make me nervous because if it’s not good then there’s no going back.It’s good that not only does this book give you a different feel from the first two, it also wrapped up the series nicely. I agree series finales are tricky and there’s so much expectations and hope it will be good. So when a last book in a series lives up to my expectations and wraps up things nicely it’s a great feeling. I like how each book in this series has a slightly different feel and focus, while still being connected. And this book wrapepd things up so nicely. I love to here that a series ender was done so well. I don’t mind a darker read, I might even like it more. And, I really like multiple POVs. I’ll check out the first book. Wonderful review! Same here I really like multiple POV’s and it worked so well in this series. It’s so awesome when a series ender wraps things up nicely. I don’t mind dark reads, but it depends a bit on how they are dark. This one was a bit difficult to read at times, but stil manageable and well written. I hope you’ll enjoy the first book! It’s always kind of sad when a series comes to an end, isn’t it? Even if the ending is a satisfying one. I’m glad this series wound up in a way that you were happy with, Lola. I’m not familiar with this series or author, so I’ll have to check it out. I agree it’s always sad when a series ends, although it is nice when the ending is well done. I really like this series, although the other series she has written is interesting as well. I would recomend this if you are looking for a well written dystopia series that has the right mix of action, war, story and romance. It sounds like a stellar series. I love that it doesn’t glorify war but that it shows all the pain and horrible atrocities that go with it. I think this really sounds like one I’d like to read especially as you have enjoyed all the books in the series. Will add it on GR! It’s a great series and indeed it handled the topic of war very well. I don’t like to read about war, but I prefer it if war isn’t glorified. This series showed how horrible the war was, but there was hope as well. The first book in the series was first released as Shattered Veil, but got re-released titled Rebel Wing, so that can be a bit confusing. I think they only sell it as Rebel Wing now. I hope you’ll enjoy this series as much as I did! Glad you liked it. It’s always nice to find a series that you like. It was a great series and the ending was well done. This sounds like yet another series I need to get started on, Lola. Both intense and with a good story and a solid plot – you sold me! Yay I am glad to hear that! This was such a great dystopia series, definitely one of the better dystopia series I’ve read.